Statin side effects 'taken into account' Jump to media player Mark Baker, director of the centre for clinical practice at NICE, discusses claims that proposals to extend the use of statin drugs should be scrapped. Statins side effects claims probed Jump to media player Two articles claiming cholesterol-reducing statins may be unsafe are to be investigated and could be retracted by the British Medical Journal. 'Millions more should take statins' Jump to media player Millions more people should be put on cholesterol-lowering statin drugs to protect them against heart attacks and strokes, according to draft guidelines for the NHS in England. Statin use 'must be judicious' Jump to media player Millions more people should be put on cholesterol-lowering statin drugs to protect them against heart attacks and strokes, according to draft guidelines for the NHS in England. 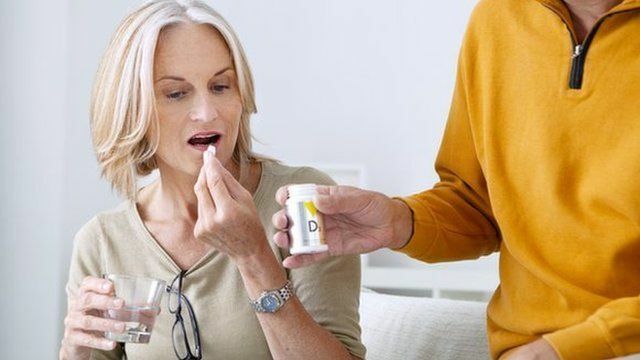 The increased risk of developing diabetes has been taken "into full account" in proposals suggesting that the use of statin drugs should be extended, the National Institute for Health and Care Excellence (NICE) has said. Matt Baker, director of the centre for clinical practice at NICE, told the Today programme the benefits of statins in reducing heart disease and stroke outweigh the risks of the drug's side effects. NICE's draft guidance, published in February, could mean another five million people in England and Wales use statins on top of seven million who already do. But in a letter to NICE and ministers, a group of leading doctors and academics have expressed concern about the medicalisation of healthy people. First broadcast on BBC Radio 4's Today programme on Wednesday 11 June.